Car subwoofers are speakers that are solely dedicated to recreating low frequencies. They are the simplest method of increasing deep bass significantly whilst retaining sound quality of the music of your choice. The best subwoofer brand is JL Audio and their 12 inch 12W7AE-3 model is the best subwoofer for deep bass. It is the most rated and is developed by the best in the business but it does come with an expensive price tag. Before purchasing and installing a car subwoofer, you will need to ensure that your single din or double din head unit has the necessary outputs available. Installing a car subwoofer is straight forward when you have the correct wiring kit and space to work with. Most people will place their subwoofer in the trunk but some may choose a shallow subwoofer, which you can install under the front seats. Common sizes include a 10 or 12 inch subwoofer and each will deliver hard hitting bass differently. Most car audio enthusiasts will stick to the big brands such as JL Audio but there are many cheaper alternatives that offer just as much performance. We recommend that you pay attention to the RMS and not peak power as this will indicate the true power of the subwoofer. 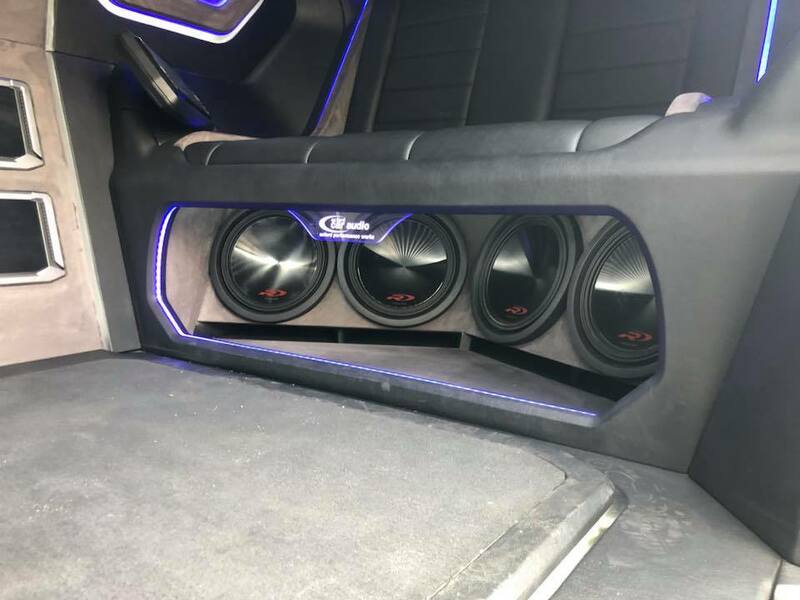 Below is a list of the best car subwoofers for deep bass that provide hard hitting bass without effecting the quality of the audio. For those that are serious when it comes to their car audio, you will know that JL Audio are one of the best subwoofer brands. The 12W7AE3 subwoofer is their flagship model that has been designed for performance. The 12″ subwoofer is made from the highest quality polypropylene that is surrounded by polyester foam. It also has a radially cross-drilled pole piece and plateau-reinforced spider attachment. Overall, it is the best car subwoofer you can buy but it does come at a premium cost. It has been designed for audio enthusiasts that want to take their deep bass to the next level and improve sound quality without added distortion. If power is what you are after, then the Orion HCC is ideal as it is the most powerful car subwoofer in this article. These days, obtaining a large amount power is the easy part but maintaining quality deep bass is not as straightforward. The Orion HCCA122 is a polypropylene cone woofer with a rubber tri-radius symmetrical surround. The additional power and better quality audio comes from the new copper voice coil that increases the performance and temperature control. It is a subwoofer that may be too powerful for some and will require a powerful car battery and a high quality amp. Overall, it is the best subwoofer for deep bass and is suited to “bass” enthusiasts. Many people refer to this subwoofer as a “mobile earthquake” due to the hard hitting bass. Considering the name of this car subwoofer is the “Terminator“, it is obvious that it is going to be a serious bit of kit. 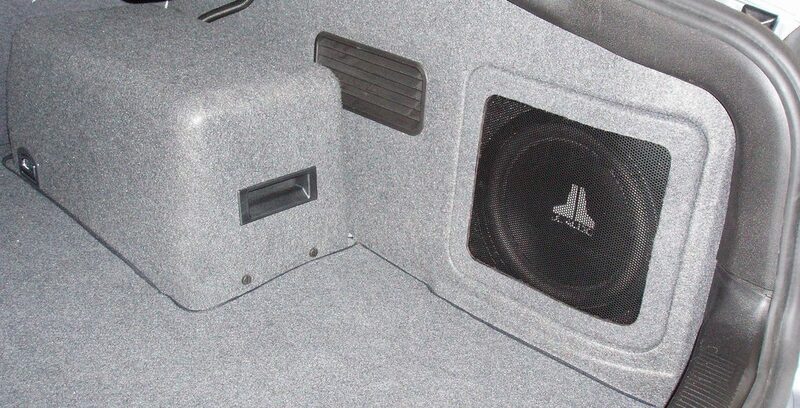 On top of this, it is a dual car subwoofer setup for the extra hard hitting deep bass. The outer boxing is made using 5/8 inch MDF construction with aviation grade black carpet. This gives the subwoofer an expensive feel as well as being rugged enough to be stored within the trunk. Most subwoofer brands will only use a 1/2 inch board that will not be as long lasting. The sealed enclosure subwoofer with dual 12 inch speakers has a single terminal cup that can be connected to any mainstream amplifier. This means you can hook up more powerful amplifiers in case your current setup is not good enough. Not only is the MTX TNE212D powerful but it is also very clever. It uses a technology called Spider Plateau Venting, which is a mechanical cooling process. What this means is the subwoofer can cool down via fresh air around the voice coil when heat builds up from extended use. Overall, this is the best dual subwoofer on the market today, which is highly rated (and popular) across the US. If you are looking for a compact all in one car subwoofer package, the P300-12 is the best option. The 12 inch subwoofer is sealed enclosed and powered by a class D 300 watt amplifier that is ready to go and provides big bass. Simply run power, ground and a signal from the stereo system and you will be introduced to the bass produced by the Rockford Fosgate Subwoofer. In my opinion, the subwoofer itself looks very classy with a sloping edge to compliment the shapes of most car trunks. The Rockford Fosgate P300-12 is the best cheap 12 inch sub for the money that will not disappoint and also comes with a 1 year warranty for peace of mind. When it comes to 10 inch car subwoofers, JL Audio have another premium model, which is the 10TW3-D4 Shallow Mount Subwoofer. It is an injected molded, micra-filled polypropylene cone with a high-roll rubber surround and it looks great. The 10TW3-D4 is a thin 10 inch sub that requires very little air space that can be installed anywhere in the car from the trunk to the rear of a car seat. As with the majority of JL Audio speakers, the polypropylene cone used will never flex under heavy bass. It is the best shallow mount subwoofer you can buy and even though the JL Audio 10TW3-D4 is expensive, it is worthwhile for any car audio enthusiast requiring a shallow design. Space can be very limited in smaller cars and you simply can’t store a subwoofer in the boot. The next step is to look for a subwoofer that can be stored underneath car seats or even connected to them. This will require a slim subwoofer that doesn’t become too obstructive for passengers. You will not be able to achieve deep bass like the JL Audio Shallow Sub alternative but you will be able to save money. To reduce the wiring and components needed to setup this sub, it has a built-in amplifier to make it quite simply plug-in and play. You will not be disappointed with what the RW10CA by rockville has to offer. The ACP110LG-TW1 by JL Audio is a powered subwoofer that uses a 400 watt class D amplifier to provide high quality and powerful bass. The amp and subwoofer are enclosed in a MDF box with V-Groove technology to ensure its protected. Overall, it is the best powered car subwoofer and comes with a 2 year guarantee for peace of mind. Compared with other powered subwoofers, it provides much more RMS power handling but you will have to pay a premium for this. The Kicker 10TC104 is a slim but tall 10 inch subwoofer that uses a wood enclosure that is strong structurally. In term of dimensions, it is 22.8 x 16.8 x 8.8 inches and will fit in most locations around the car. It is the best cheap subwoofer for bass without paying over the odds for similar powerful subwoofers. It does not come with an amplifier, so its recommended to run an amplifier with a power rating of 1,000 watts and above. The subwoofer market is saturated with many rating being promoted to make them seem desirable than an alternative. However, due to the saturation, prices are very competitive and manufacturers are going to the highest level to make theirs the best on the market. However, the drawback of this is that it can be very difficult to find the best subwoofers for the money. In order to achieve quality bass, you may need to find the best car amplifier for your specific subwoofer. Failing to give the subwoofer the correct amount of power can result in poor quality to both the subwoofer and coaxial car speakers that you have installed in your car. To help you make an informed buying decision, we have produced the below buying guide regarding car subwoofers. The subwoofer size is dependent upon the space you have available for mounting. Some cars have space in the trunk which is screaming out for a custom audio installs but some do not. 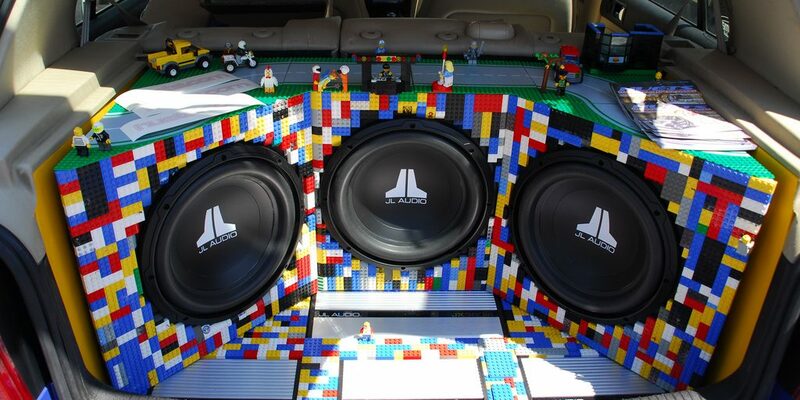 The ways in which car enthusiasts are installing subwoofers into the construction of their cars is truly remarkable. Through various car shows, I have seen car audio mad owners removing their spare wheel compartment and installing large subwoofers. The way in which you install your subwoofer is up to you but ensure you take some measurement before purchasing an expensive subwoofer. Some subwoofers will have an enclosure that is mounted, which has a huge effect on the type of audio that will be derived from it. Generally speaking, sealed boxes will provide you with the deepest, most accurate acoustics, while those that are ported in a bandpass enclosure. This will be able to be used to derive more volume. If the space where you are installing the subwoofer is small, do not try and squeeze a large 12 inch subwoofer into the space. This will compromise the performance and be hard to wire correctly. The power and sensitivity of the subwoofer work intricately with each other in order to deliver a high output. A subwoofer that has a higher level of sensitivity will require less power in order for it to produce the same amount of quality sound as a subwoofer that has a lower sensitivity rate. When looking for the most powerful subwoofer, play close attention to the RMS power ratings as opposed to the peak power ratings. The RMS ratings measures the continuous power handling or output which is a significantly more realistic measure to determine the power supply compared to peak power. If your ultimate goal is to create a sound system that has the ability to play your music loud and at low frequencies, then you can simply go for the largest sized subwoofer. However, just because a subwoofer may be small, it can still make enough power to match with the larger units. Technology is making electronics smaller and more powerful but the trade off is that they may cost more money for a smaller subwoofer with the same power as a large alternative. Impedance can be defined as resistance to the flow of electricity, which changes depending upon the frequency the subwoofer is generating. The majority of subwoofers have an impedance rating of 4 ohms. But, those with measurements of 2-ohm, 8-ohm, as well as dual voice coil subwoofers are becoming more popular. The majority of top car amplifiers will require certain resistance to function to the best of its abilities. Be sure that the heavy bass subwoofer is matched with a heavy bass amplifier for the best results. This is because as the subwoofer moves, so does the resistance values and mismatching amplifiers will cause performance issues to your car audio. To make choosing a subwoofer even more tasking, there are three main types of subwoofer to choose from. Each subwoofer type has their own Pro’s and Con’s and they are as followed. This is the subwoofer unit that is most popular and are often called passive subwoofers. They are mounted inside the enclosure of the subwoofer for them to operate properly. They require the power from an external amplifier, and can range from 8 inches to 15 inches in size. These types are a combination of an amplifier and subwoofer situated within enclosure. Powered subwoofers do not require a lot of space in your vehicle, but they have limitations with regards to the amount of bass they deliver. These types of subwoofers are specifically designed in order to fit in the small spaces of a compact size cars, trucks, and SUVs. To get your subwoofer working to its optimal performance, you will need an amplifier. A subwoofers impedance is measured in ohms and an amplifier will output varying power dependent upon the impedance load of the subwoofer. Amplifier Watts RMS into the Subwoofers OHMS. Ensure that the amplifier you select is capable of supplying between 75% to 150% of the subwoofers total rating for the system. If possible, we advise sticking to the same brand unless you are need of more power that the brand in question does not offer. Introducing a car subwoofer with hard hitting bass can make a huge difference. Many cars suffer from lack of bass and this can fairly frustrating if you like to listen to music with deep bass. 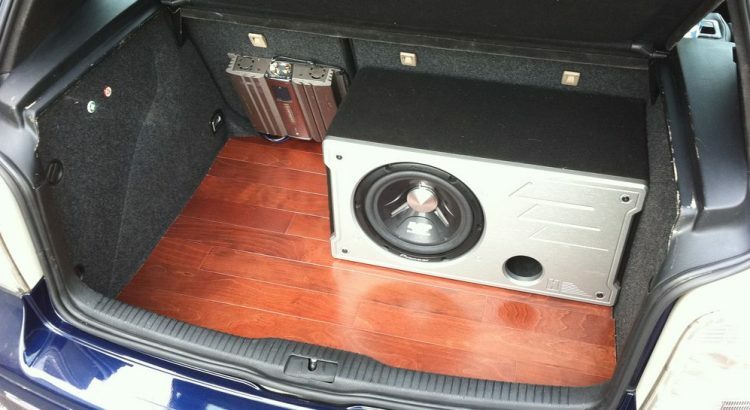 Most car owners will install either a 10 or 12 inch subwoofer to their car but the placement differs depending on space available. Our car subwoofer recommendations cover everything from maximum power output, shallow mount and powered subwoofers. Therefore you should be able to find the best car subwoofer that fits your requirements. Great article. You have reviewed some good car subwoofers. I like the fact that you reviewed the pros and cons for every subwoofer and also that buying guide is great for newbies that want to buy a subwoofer. I appreciate mentioning the other cheap subwoofers but if you are serious about bass. Stick to the JL Audio products. They are expensive no doubt but that is the car audio game. Good selection in this article! The JL Audio 12W7AE-3 is just WOW. This is the most powerful subwoofer for bass in your car by a country mile. It shakes the mirrors, door mirrors and even the bonnet somehow. Excellent sub for anyone!